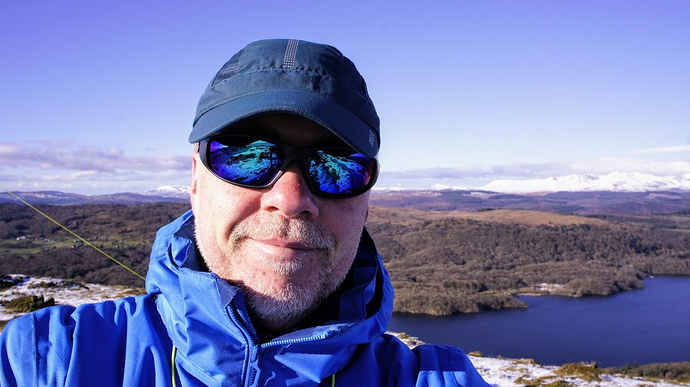 A cold morning on Gummer’s How G/LD-050 at the South end of Windermere but I was blessed with sunshine for most of my time on the summit which makes everything much nicer. I was able to find a spot ducked down out of the biting northerly wind. It was a good excuse to get out but I have yet to complete a summit based FT8 contact. In any case I made only QSO with Tom M1EYP/P with solid sigs, follow Phil G4OBK called me twice, then I answered him for quick QSO into same shift of M1EYP, sorry for QRM Tom. Then I back LP and check 14.062 for VK1DA/P on CW, he was surprinsingly 559 here I called him, but when back “Murphys” contribute with S-8 QRN due to snow storm just at that time, really hard to complet QSO.Some time later I saw spot of JI3BAP/3 from VK chaser then I turn my Yagi little bit more south with the storm stoped with band quiet and the gift of the day, in 14.058.9 at 08:43 UTC I got Aki sigs very solid here, called him and easy QSO was completed for my very first SOTA Japan QSO completed, Thanks you very much Aki!! activity particularly if they are to chase SOTA activators around the world! a somewhat chaotic situation with chasers calling CQ in the same QRG of the S2S event¿? I think chaser must answer activators CQ, not make QRM on his QRG, or FT8 mode are open to this “new fashion” of chase ? With FT8 - 14.062 is not just “one frequency” as you would think of in SSB or CW. 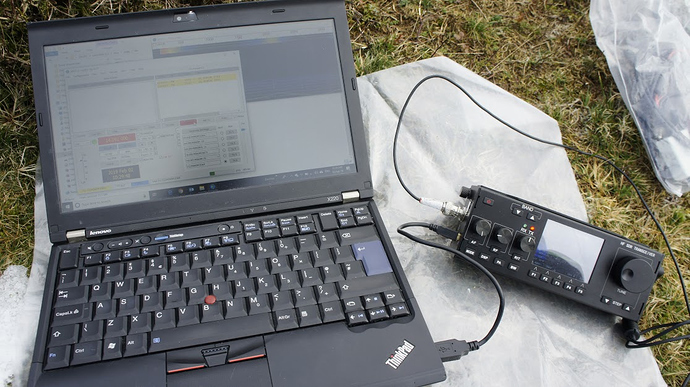 It is a mini-band 2500Hz wide (from 14.062 to 14.06245MHz) in which many FT-8 stations can communicate. The receiving station doesn’t even have to go onto the spot within the 2500Hz where the calling station is to reply as the software scans the complete 2500Hz mini-band and it is normal that stations will be at different “offsets” within that 2500Hz - i.e operate “split” if you like, but really, it’s all automatic. You have the software put the rig on (in this case) 14.062MHz and it will look through the 2500Hz for stations and list those on the screen. If one is calling CQ, you can then click on that station in the list and your rig will call him back somewhere within the 2500 Hz. Now offsets within this mini-band can be “locked in” but that’s not normal - usually the sofware picks a random offset for the first call and only when a QSO is in progress stays on the offset. 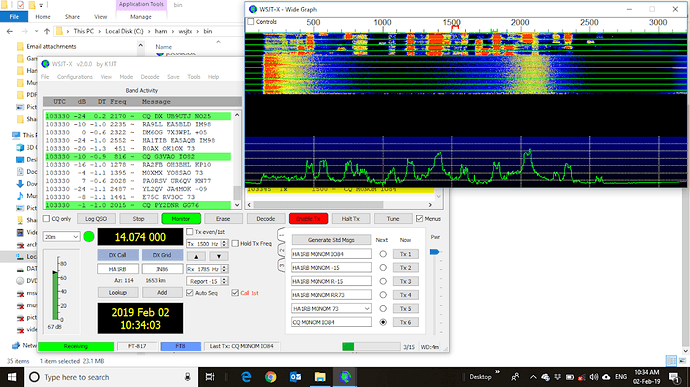 Attempts to homebrew a link for FT-8 resulted in my 857 shutting down - and without a lot of time to debug what I’d done wrong, I left the laptop in RX only mode and listened to see what was around on 20m. Some success, with a complete exchange for JI3BAP and a VK heard, and seeing CQ calls from BV. I also heard the EA2LU side of this conversation, but not the G4OBK side. I assume you mean 14.092! In any case, I’m sure the OMs understand about the spread of working frequencies. It was indeed the case that EA2LU and G4OBK had a QSO on what was my working frequency within the subband. But I did not mind at all, it was soon clear again, and if not I could have gone somewhere else. It wasn’t exactly pile-up busy! Often this happens when you work someone who is calling CQ - so the software takes you to their frequency - but then you decide to call CQ yourself - but forget to change the frequency. I know this, because I’ve been guilty of it myself. You soon realise when the station you just worked keeps popping up with CQ calls on the same frequency, you quietly kick yourself, metaphorically, on the backside - and you find yourself somewhere clearer to continue calling! Even though I didn’t personally achieve any DX or S2S today, the event definitely contributed to a significant number of new activators and chasers using FT8 mode. That was pleasing, and the JA to VK DX S2S QSO was an excellent result. I was receiving the JA SOTA activation, and other CQ calls from the Far East, though nothing from VK. Hopefully, when we do this again, conditions will be more favourable. Nonetheless, I think we all had some fun this morning. SRI - yes 14.092 ! To stay on an “offset” I thought one had to specifically change from the default settings of WSJT-X though? (Hold Tx Freq as Paul says). Working activator/chaser is different from normal contacts however. I think the concept for normal ft8 contacts is that everyone’s software keeps moving offset and in that way less QRM occurs? I read this Ian just after reading about Monsoon flooding in Townsville on the BBC news site. I was thinking with my small UK mind “how can you have a severe drought and floods just up the road.” Then the thought “Ah… VK-land”. So Townsville to Adelaide is about 2500km and is about the same distance as London to Bucharest. Yes, that’s far enough to have floods and drought at the same time! To give more feeling to how far that is, driving from London to Bucharest means driving in England, France, Belgium, Germany, Austria, Hungary and finally Romainia. Must think bigger in future. Selecting this is recommended - in the case of multiple replies it avoids everyone ending up on the call originator’s frequency QRMing each other, and as Tom points out saves having to remember to move away from his frequency after you’ve completed with him! There’s no advantage in moving frequency as the software searches the whole FT8 segment for replies. On 60m it could prevent your transmission moving out of band… Whilst on that subject and apologies for going slightly off topic, does any FT8 afficionado know where 60m intra-UK FT8 is to be found these days? She’s a big place for sure. That wx in Queensland is influenced by the monsoons and tropical cyclones from Asia whereas we get our wx mostly from across the Great Australia Bite and WA. The weather man on tv said because the monsoons were a few weeks late this summer to hit vk8/ top of vk6 it gave the Red Centre more time to heat up thus the last 4 weeks over 35c and we had a 48c here in Clare the other day. Records tumbled that day around vk5, would have been 50c out in my summit territory 200 km north of here. Some of my summit trips up north in vk5 would probably have me crossing borders in Europe if I was to travel those distances there. Some people think I am crazy I leave home 4.30am drive north 266 km to park my vehicle hike 3 km up a summit spend 30 minutes there then drive home. MMMM I think I must be crazy. I agree with you that holding the TX frequency ( a checkbox on the main screen) is the recommended operating procedure and the method I use. This is the recommended approach contained in the current version of the excellent FT8 Operating Guide by Gary Hinson ZL2IFB. This is available on K1JT’s WSJT-X web site. You just examine the waterfall for an unused frequency. You can select this transmit frequency by clicking on the open frequency on the waterfall while pressing the “Shift Key”. Your could also change it in the TX frequency box. Since most stations will be transmitting on different frequencies this will allow the station being called to see all the callers and they can select the station to respond to. The other approach is to not select “TX Hold Freq” checkbox. In this case when you double click on the station the program moves your transmit frequency to EXACTLY the other stations transmit frequency. Now you have multiple stations transmitting on the exactly the same frequency to less than 1Hz. This can be very hard to decode and is as bad as QRM can get. With a signal bandwidth of about 50 Hz and a 2.8KHz filter in your receiver would allow 50 stations to operate at one time. At home on my ic-7610 I use the widest filter of 3.6 KHz. This should usually be enough space since there are also two different transmit time windows. Now for the rest of the story. If there happens to be another station transmitting near your receive frequency don’t panic. I believe version 2.0 has implemented both two pass decoding and signal subtraction. What I have observed is that in many cases the software can decode two different stations as close as 2 Hz different in frequency. To observe this look at the Band Activity window when the band is busy. What you will normally see is the stations decoded in the list are usually from the lowest to highest frequency. Towards the end of the list you will notice some decodes with the frequencies again sorted from low to high. What you will see is that most of the stations in the second part of the list are within 50 of a station in the first part of the list and obviously both have been decoded. Some very smart people have written some very smart software in my opinion. Considering the 50 Hz bandwidth of the signal and the fact the 8 tones used only differ in frequency by 6.26 Hz being offset by 5 to 10 Hz is probably significant. One last thought. I have seen references to selecting WSJT-x “DX Mode” or “Fox and Hound mode”. I don’t believe these are appropriate for SOTA. First everyone needs to have these selected or there will be lots of partial QSO. Second if you have read the DX Mode user guide there are a lots of requirements for it’s use. If anyone has other recommendations or opinions please let me know. I got a beginner’s luck yesterday. It was my second FT8 activation. I’m not a good climber like Tom. 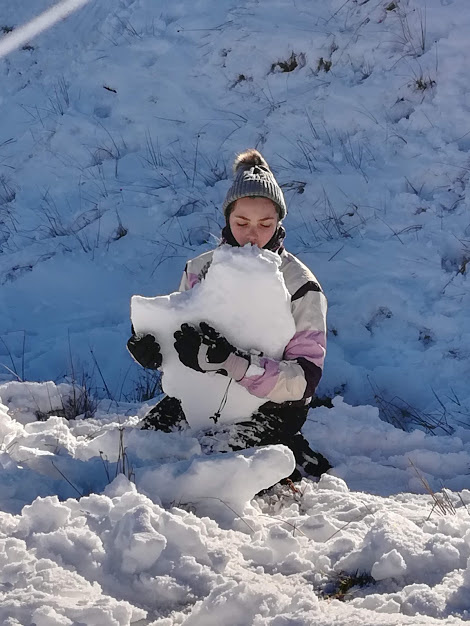 I couldn’t operate FT8 on such as snowy and cold condition. A couple of months later will be OK for me. But if the conditions allow me, I will participate. OK on the clarification of a recomendation to set Hold Tx frequency - I presume that is for the one calling CQ (i.e. in our case the activator). Unless you set the operational frequency on your rig to closer than 3kHz to the band (or band-let in the UK) edge, out of band operation shouldn’t occur - remember we’re only talking about moving frequency (offset) within the 2.5-2.7 Khz width of a normal SSB Upper Sideband signal. The actual frequency readout on your rig wont change when you move frequency within this very narrow FT8 window. Were talking about moving 10’s or 100s of Hz not kHz. One way to think of it is that it’s actually the audio frequency that we are shifting not the RF frequency. It’s hard to get one’s head around the fact that multiple QSOs can take place within the space used by just one SSB transmission. The current RSGB band plan is published in this month’s RadCom however there is no mention of a recommendation where digital modes like FT8 should be within the band-lets - there’s mention of WSPR somewhere in the 5362-5374.5 bandlet that’s all. In the WRC15 bandplan 5366-5366.5 is reserved for weak signal modes - so it looks like that would be a good frequency for both intra and extra UK contacts, but as for just Intra I can’t see any reference in the RadCom published RSGB 60m bandplan. No it’s the responder (“chaser”) that needs to check the Hold Tx Freq box, so that his frequency doesn’t move to the “activator’s” when he responds to the activator’s call. The highest offset I’ve seen from the carrier frequency is 2650Hz, which would give a highest frequency transmitted of about 2700 Hz (an FT8 signal being I believe 47Hz wide) so with a bit of a guard band 3kHz below a bandlet edge for the USB carrier frequency would appear sensible. Just for the record…I work a lot of FT8 when I’m not Sota chasing & have done since the mode first became available & I always work split away from the callers TX freq. On the weekend on 14.092 I picked a slot away from others so as not to conflict and called CQ every ten mins or so. This was so that others could see I was there DX or otherwise. If everyone is RX only the band may seem dead. I even put a self spot to let one VK know that I was RX his freq this I don’t do very often. I failed to hear him but at least I made my presence known. I would like to thank Tom and the others for making this event possible and I was very happy to be a small part of it. Looking forward to the next event. I’m glad you enjoyed it Don. It was nice to see SOTA chasers working each other on the WSJT-X screen. Some people don’t like FT8 - fair enough - but for anyone who thinks the “human” aspect is lost through use of microchips - look at what happened here - SOTA activators and chasers were all on one frequency, seeing each others’ QSOS, and enjoying an event together. The technology was a social/community enabler, not a barrier. 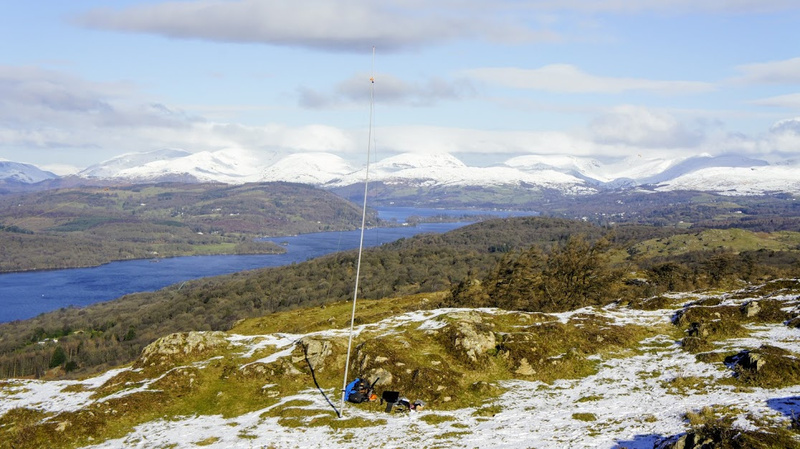 Willis BX2AFU has said above that he will be activating on 20m FT8 again next Saturday 9th February. I’m available for that. Anyone else fancy another go at this? Won’t be active that weekend, I will be on nights Fri, Sat & Sun. But good luck anyway. I’d suggest that all need some way to watch (in real time) what the MUF is doing for the Asia - EU path. I believe Willis made several contacts into VK but the bands he was on at the times he was on were perhaps not the best for the MUF on the path Taiwan to UK/EU.